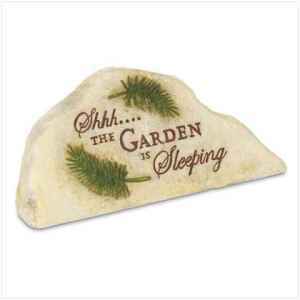 I saw you ad on Craigslist entitled "Shhh...The Garden is Sleeping Garden Stone and Key Hider" http://newyork.craigslist.org/lgi/hsh/2142414141.html. I was wondering if you have other fake rocks to hide keys in that have different inscriptions that make as much sense as "Shhh...The Garden is Sleeping"? Maybe "Arrgg... my foot is a librarian" or "Whaaa... gravity is dark blue"? Anyways, let me know.